Islam: The Greatest Liberating Force on Earth! Please click the link below to read/download the pdf file, Insha Allah. 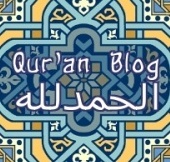 The way Qur’anic Commands are put into action determine the altitude of one’s belief in the Qur’an. Not a book written by any human being but the Book authored to precision by mankind’s very Creator. Not a book only to be read in Ramadhan but the beacon light & companion from cradle to grave. Not a book to be kept in law courts for resorting to oath taking, but The Global Constitution, the code of conduct from the Maker to the made.